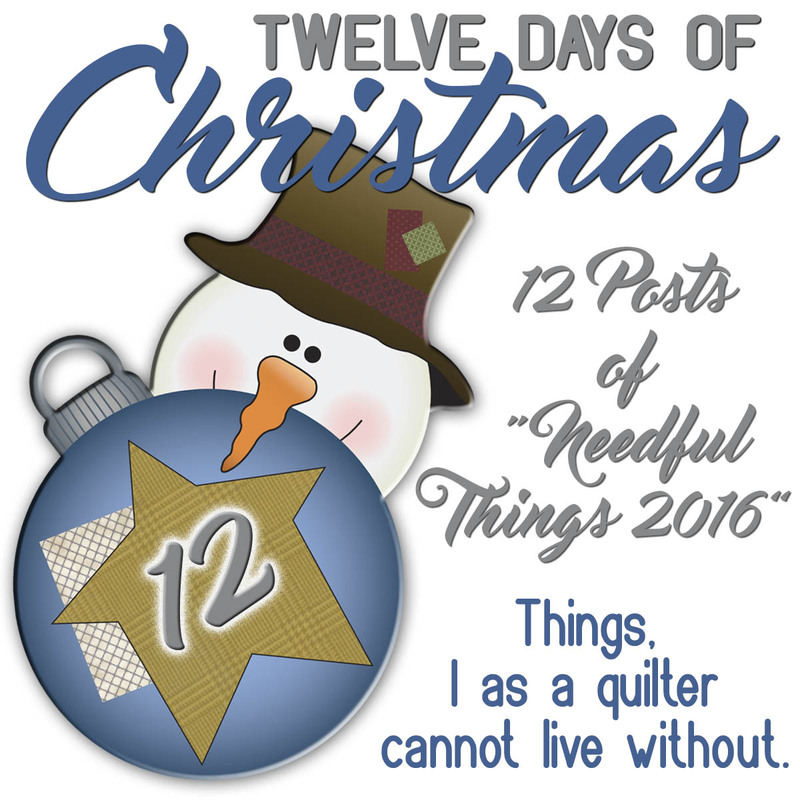 12 days of Christmas…12 things Quilter’s shouldn’t live without!!! How do you like our artwork this year? So cute…Teri does such a good job…If you have been through this for a couple of years already OR this is your first time doing our 12 Days of Needful Things, WELCOME! Are you ready for 12 days of FUN!!!! Good…I’m ready too. I’m feeling great and want to get to work…this FIRST post is wordy…so please read all the words so you now what’s going on!!! Remember I have to write them so you have to read them!!! Ha…works good when we all do our part! EXPLANATION: It has been brought to my attention that I do this 12 days thing backwards…and was suggested I change it…ummm no…I count down 12 days until Christmas…I start with 12 and count down till 1 day before Christmas…I guess if think about it…if I did things the way they were supposed to be done…I wouldn’t be what I am today…so you have to live with my backwards thinking for just this time of year…and every year I do this…like a tradition. I just checked this will be the 4th year of the 12 days of Christmas…You can go back in the blog archive and read the previous 3 years. Look in Dec 2012-2015. Ordering Details…The major thing that is different this year is will will not be able to hold your placed orders as we go and ship them all together at the end…unless you wait until the end-and send your order in all at once. We are SUPER COMPLIANT with our CC processing and it adds the minimal shipping and charges your card as soon as you place your order….I know it’s different-we never see your cc number-a good thing… Think about it this way…you cannot order from Amazon and then order again the next day and have them combine them…does’nt work. We LOVED it when we could do this as we could see if we had to order more if we had a lot of orders and keep ordering and be ready at the end to ship them…but not anymore…but if your order is over $100 shipping is FREE so keep that in mind, and send those orders through if its important to you to meet that FREE SHIPPING amount. If the minimal shipping is no big deal and you want to send your orders in you’ll be sure to get them fast, because I know a lot of people will wait till the end to send their complete order through with this new system… Just an FYI reminder…Domestic (US) shipping is $3.99 under $10 and $5.99 under $100. FREE over $100…I think of shipping like putting gas in the car…If I was going shopping I’d have to fill the tank up…trudge all over town looking for what I want and so on…I’ll gladly pay $5.99-reasonable shipping charges to stay home and shop on my computer, No big deal. So I hope that is clear. If you have any questions you can call the shop or email, but it’s pretty simple…International customers please wait until the end and regular International shipping rates will apply. Wonder Clips…We’ve had this one before..but have you seen the NEW jumbo and NEWEST mini ones they have now?…I love those big and little sizes… So many uses…It’s all about “together”…keeping our things together….you can clip blocks together when you are are laying out your rows…you can hold tiny counted HST’s together in the number you need to keep them”together”…if you have to have “x” amount of papers for this project…keep them “together”…not just for binding your quit anymore…and I’m sure you wouldn’t mind sharing a few of the things you uses them for? To win some Wonder clips…comment and let me know how much shopping you have left to do…and…if you are done are your wrapped?…just talk to me…about your Christmas prep…I will be picking 3 winners…1 for each size clips…Good Luck!!! Sorry for 2 posts in one day… wanted to post the Magic of Christmas Settings yesterday…but you how things go sometimes?? ?It happened to all of us…you are not alone! Next Post 11 days until Christmas!!! I am 3/4 done Christmas shopping and sewing gifts. Off to mail packages to Germany for my oldest daughter and get family who are in the military. I am probably about a third of the way done with my shopping and have not started to wrap a thing. I am always finishing shopping right up to Dec. 24th. I am NOT done shopping, and regretting that as the bitter cold weather and more snow are coming soon. I’d love to win some of those clips! Thanks, Lisa! I am done shopping and have 1 last box being delivered today, so I will wrap my last package. Having Christmas with our kids early this year. Thanks, Lisa, for all you do. Glad you are feeling better. Love the art work . I can’t decide which layout to do but I do want the background to be red. What do you suggest for the country version? Actually this year is my best year yet as far as shopping goes. Only have a couple of gift cards to purchase and I will be done done done. Not wrapped yet, but will be soon. I also use the wonder clips faithfully, they are great. Happy Holidays to you and yours. I am almost done. Just a grandma to find something for. I love my Wonder Clips, use them for binding, but you have given me great ideas! I’m pretty much done and bagged with Christmas. I am done shopping except to find a Hatchimal for my great grand daughter. I’m afraid that gift may have to arrive after Christmas! Shopping complete long ago (well, expect for stuff for myself ;-)) and the package I had to mail went into the mail on the Monday after Thanksgiving! I am all finished shopping, now to do a bit of spring cleaning while I wait for Christmas. I don’t shop for gifts. (Really tight budget.) I make all my gifts. And as usual, the few people I have on my list will be getting my annual “After Christmas” gifts ~ it’s tradition! Merry Christmas! Haven’t the slightest clue of what I even need to buy or get!! I’ll do it all on the 23rd!! I do have my Christmas Eve food ordered!! I am finished. Gifts only for the great-grandchildren. All other gifts will be to charitable institutions in my relative’s, friend’s etc. name. I’m close to being done with the shopping, and wrapping. Trying to get some stitching time in too! I am done and gifts are wrapped. Do my shopping on line so most was done in October. I use Dec to make cookies to give as gifts to neighbors. My shopping is all done for this year. I have one present left to wrap then I can begin my other projects. Merry Christmas everyone. All my shopping is done – still need to wrap, bake cookies & make candy, and finish the 5 wool appliqué Christmas towels. I also love using these clips- only have the original size. Wow, Christmas is really coming up fast! (Actually no faster than any other year) I am not done shopping about 1/2 done. We are in the process of moving out of our home into a rental home and going to remodel a small house on the water! Might have to do some gift cards for the grown-ups. I don’t shop. (Really tight budget.) I make gifts for the few people on my list, and as usual, they will be getting their “After Christmas Gifts” sometime before the 31st ~ it’s tradition! Merry Christmas! The only one left to buy for is my son in law! Several left to make still. I haven’t purchased any wonder clips yet of any size yet. Guess this is my chance! I love these! They work very well for needlework construction too! I think it will be more fun to get presents every day! I only have to finish up with 1 son in law. His birthday is the 26th have that! Most presents are wrapped. We alternate going to our 2 daughters homes on Christmas Eve & staying till the 26th. The daughter & family who’s home we don’t go to joins us I the afternoon. Then before going home on the 26th the girls & I get up & hit the after Christmas sales! I love this alone time with the girls! I have all of my gifts bought, I just need to wrap a few more. Not done shopping and haven’t wrapped a thing….still have an unornamented tree…but pretty lights! I have a 20’s dotter and she loves to shop. Sooo …for using my car, she is doing my holiday shopping for me. You know, life gets busy and I have to prioritize and my quilting always comes first during this busy season. I am almost done with the shopping and wrapping. And baking : ) I love Christmas cookies! Once my order arrives from Primitive Gatherings, my shopping is finished!! Packages have been shipped to children in Orlando and New Orleans. All that’s left to do is board my flight to Florida next week. Leaving the snow behind in upstate NY for the nice warm southern sun!!! Merry Christmas! Finishing up with my gift sewing today. I am making a bag and using my wonder clips to hold the binding on while I sew. I agree with your choice for these wonder clips. They are the BEST! Most of my shopping is done. Nothing is wrapped. We have cookie baking day on Saturday. Quilting friends party on Sunday. I love this time of year. Have all of my shopping done except for one gift. But only one is wrapped. Need to get my daughter over and bribe her into wrapping rest of the gifts. She is so good at it! Love the clips. Can’t believe I haven’t noticed them before. Definitely a must have. Technically, I am finished shopping. That is to say, I have enough done that if Christmas were tomorrow, I would be ok. However, if I do some local town strolls this weekend, I may well run into a few more “must haves” for my new daughter-in-law or my mom, who just moved in with us. Or perhaps a quilt shop will call to me and I’ll find something wonderful for my quilting sisters. All the extended family is wrapped, and one son is done, one to go. Then mom and my husband, who only wants a wallet! Done! He really wants a keyboard (music) and lots of stuff I am NOT picking out. So he will be doing his own gifts after the out of town guests are gone. That’s my story! Many blessings on your family, Lisa. Love you 12 Days! My shopping and wrapping are almost done! Everything is looking good! I have more “making gifts” than shopping for gifts left to do. Love the wonder clips, too. Hi Lisa, my shopping is done except for stocking stuffers. Nothing is wrapped as I ship it to our daughters in Tennessee. So I’ll have wrapping to do next week. Thinking of trying a new cinnamon roll recipe this year and making a list of cookies the kids want to bake this year. I’m stitching the Old St Nick table mat . A couple gifts ordered but so far that’s it…I’m behind this year! And I can see I need to get myself some of those new mini Wonder Clips…I was a good girl this year!! We don’t spend a lot on gifts since we don’t have a lot. Granddaughters 1st, then our kids. This year my quilting friends decided we don’t need anything and will make charitable donations instead of exchanging gifts. Also, decided to start cutting my own hair…haircut equaled about 3 yards of fabric. Priorities! And I love these little clips…they help my new longer hair stay out of my way! Merry Christmas to you and yours! Oh those clips. I have gifted them 4 times and still none for me. Hint hint Santa. Shopping finished. Wrapping isn’t even started. Haven’t used the minis. Would love to try them. Merry Christmas! I am about 1/3 finished with Christmas shopping. With 9 grandchildren, 3 children and their spouses, shopping takes some time. Good thing hubby is so helpful in keeping his eyes open for good deals to fill all those stockings. The Wonder clips are the best! A good quality product. I haven’t broken even one of my original sized set. I’m busy baking your molasses cookie recipe right now. So good…. I still have to buy stocking stuffers. Nothing is wrapped. Decorating is not done. Maybe it will happen after I eat a cookie or three. Thanks for the 12 Days of Christmas sale! Yay!! It’s time for my favorite 12 days of the year! I love your needful things and always find a few things I need. And you can count 12 any way you want – you’re the quilting queen!! I haven’t finished shopping, haven’t wrapped a thing and still have some gifts to make that I ordered from your sale!! Wayyyyy behind but I have some time off coming up. Happy Holidays to you, Nick and family and everyone in the shop! I am really far behind this year — might have to do with the fact that people are not cooperating with getting me their Chrustmas lists 😳. I still have a few gifts to find and cookies to bake. It is about 2:37 and I have just finished wrapping ALL the gifts that I have purchased so far and I also finished all my Christmas cards. Yea!!! However, hubby and I have figured out that we still have 4 major gifts to purchase and wrap. It is a really good feeling to be this far ahead!!! 🙂 I loved looking at the ways to use the clips and they look like something I need to find in my X-mas stocking! Thanks for the show and tell! I am adrift. I have completed most shopping but have not quite finished. I have nothing wrapped and have not mailed a darned thing. With hubby’s help, the tree and decorations are complete. I have been focusing on organizing spaces in our house now that our daughter and her 3 children have moved to a home of their own. They were with us for almost 4 years so it is a bit lonely and quiet this holiday season. (We do, of course, still have many of their belongings.) I have made great strides in reclaiming space so I can use my sewing room without moving anything. That done, I am ready to finish the last few sewing projects, move on to wrapping and get gifts shipped. Wonder clips! Wow, and come in their own tin!? (love tins) For me this year, and many in the past, shopping has been minimal. All done, unless we go somewhere… live in a booming metropolis of under 250 persons, so have to leave this bustling no traffic zone to find anything to purchase. And avoid mishap with the snow. Just got home from more Christmas shopping😥 It’s about 85 degrees outside. Enjoyed reading your blog about the Wonder clips. Haven’t seen the little ones. I’ve decided that 2017 will be Minis Year for me. The little clips will be perfect to keep those pieces from getting lost=:) Merry Christmas! I have been buying little gifts all year, but I really need to go through that stuff soon to see what else I need to get. Nothing is wrapped. And I’m still working on getting a couple of quilts put together. Happens every year despite my best intentions. Merry Christmas! First for me this year, shopping done except for me? And everything is wrapped, such a good feeling. Love your 12 days of Christmas. I’m 95% done shopping, 0% wrapped! Right now I am baking and stitching furiously to get some things in the mail!! The first Christmas out-of-state was last weekend and those gifts were wrapped and delivered. One of them was a queen size quilt for my 14 year old niece that she had found a pattern online and went shopping to pick out fabric with me when she stayed for the summer. I have probably 25% left to shop for and all of the wrapping left to do. That’s OK, the ground is white, the sky is blue and Pandora has great Christmas music to spend the evenings finishing up. Merry Christmas! Shopping completed. Not one thing wrapped!! I’ve only have one gift, well one and a half. I have another part of the gift still to get. I’m behind, so very behind this year. I had not seen the mini clips before, too cute! Always love your 12 Days and keep on being you! Thanks for a chance to win! Happy Holidays! My shopping is all done. Now wrapping is another story– I always wait to the last week– to make sure I have an even number of presents– I’m good with excuses like that!!! Love the 12 days of shopping — mentioned to my post office that they would probably miss seeing my face because I was done ordering — I lied! I wonder what they would say if I picked up a package everyday😳 . — we live In a small town and there are no secrets!!! Thank you for making quilting so fun! My shopping is done but now I am moving on to do the shopping for all my R2C classes in January. That is ever so much more fun! Love all your clips. We are almost done our Christmas shopping…just a few more gifts to get! Nothing is wrapped yet! Glad you are feeling better! I am just about done with shopping — EXCEPT for the 3 Christmas stockings — and they are my favorites. I have ALL of my shopping done. All of it! Nothing else left to buy. Zero. Good thing … I’m out of money! Not it all has to be wrapped!!!! Thanks for your 12 Days of Shopping. Always fun to read your posts! Still have a few small items to pick up – that’s on my list to do for Thursday. Everything we have purchased/made is wrapped – which is a complete shock to me – I’m usually last minute wrapping or maybe I should say “gift bagging” the gifts! Shopping is done, quilts all made and bound. I need to wrap a few more things–then ALL DONE. Shopping and wrapping done. I have to ship tomorrow. I have 3 kids in the Navy so everything has to be shipped out to them. We always include a lot of goodies for friends of our sailors that also can’t get home for Christmas. Now I can just sit back, stitch and watch Christmas movies! Fa-la-la-la-la-la! Love your posts and just fyi you count the 12 days of Christmas as I do. Ha! Almost most done with shopping, haven’t started wrapping. Working on last two Magic of Christmas blocks today. Glad you are feeling better. I definitely need these. I have one more thing to buy, 3 or 4 things to wrap, a tree to decorate, cards to write, and lots of baking to do. I’m actually ahead of my usual schedule, so I’m feeling GOOD! My daughter told me this week that “I’m kinda getting bad at the Santa thing”. She knows she’s getting a smart TV for Christmas but she was home from college and saw it in my bedroom unwrapped. I didn’t make it a point to hide it. I gave her a look as if to ask “problem?” then she said “I really like it though!” It’s not what I thought I was getting. The kids (3 of them) have gotten older and it’s hard to surprise them with things they’ll like. They tend to like the bigger gifts and when you’re spending that much it’s important to get the right model etc. With that said I only have a few more things to get. All gifts still need to be wrapped and some decorating still needs to be done. In my defense we just got a new puppy 3 weeks ago. He’s a Pomeranian and weighed just 1.6 lbs when we got him November 23rd. He’s taken a lot of my time! Not to mention I’m pretty sure he’ll unwrap any gifts I put under the tree. I haven’t even put the tree skirt under the tree yet for fear he’ll potty on it or chew on it. Lisa – I have been watching for this great event. Wasn’t sure if you were going to host it again since I know you have been busy as well as having health issues to deal with. Thank you in advance since I always find great ideas. (By far my favorite is my Juki I ordered during the first year you held the 12 Days of Needful Things.) I am never ready for Christmas, so my two sisters end up keeping me on the right path. They do most of the shopping and all of the wrapping for the gifts we buy each other as well as those for our husbands. I do always find special fun things for the two of them that I do wrap so they have some surprises waiting under the tree when we gather at my parents, who are both gone, but we’ve kept their house as our gathering station for holidays and our weekly sew along. Love these clips, too! Totally unorganized this year – who knows how much I have left! I have bought the things I need to buy, but am not even close on the things I am making. Nine ornaments for grandkids, and some baby blankets, pillow cases for putting the presents in (saves on wrapping paper) and a few odds and ends. Now the rush is on. I swear that I will start earlier so that I don’t have to use every waking minute to finish gifts. Oh well. Almost done shopping, also have birthdays this time of the year a double wammy. what little I did is done, wrapped and shipped – probably will never happen again! First of all, I want to say that I prefer how you do the 12 days of Christmas. Makes sense to me! Next, I appreciate that you choose things that you use and find useful (counts a lot with me). I have most of my shopping and wrapping done, but I give a lot of baked goods to my quilting buddies and family friends and I’m in the middle of doing that now. I’m really not much of a cook the rest of the year, but I really get into making cookies, breads, and other treats this time of year. I have completed my shopping and wrapping. Now it is time to enjoy the season and maybe buy a few things for myself that I know no one will think of for me. I have hardly done any of my shopping and have no idea what I am getting for most – so next week the credit card will be smoking! Saw a post in this thread about cookies – reminds me I need to find your sugar cookie recipe from last year and print it out. I tried them last year and they were truly the BEST I’ve ever eaten! Thank you so much for the Magic of Christmas patterns and for all that you do for us! Need to get some gift cards and then I think shopping is complete. I’ve thought about wrapping gifts,does that count? I’m part of the way done. My daughter, son in law and grandson aren’t going to be able to travel home this year so the gifts for them are purchased and shipped. I still have my mother in law to buy for but I know what I’m purchasing so I just need to get to the store and then wrap it. My husband already received his gift and mine is a trip in January with some Guild members to Road to California including a visit and dinner with Lisa! I stil need to do some shopping but most of is just done online. No wrapping yet but in my family we give the gifts without wrapping (less waste). I am done shopping but not done sewing or shipping. Still may meet my deadlines!! I love wonder clips. I’m done shopping, wrapping ,very few decorations. Getting ready for a total knee replacement on the 19th. Just an FYI I love those little tins, care to share where you got them or better yet maybe next years 12 days of Xmas notions. Thanks for all you do. Still working on my Christmas blocks ,love your layouts. For us, everything is bought, shipped and wrapped except for one item I will pick up tomorrow. It feels good to me pretty much ready! Now I can sew! ! ! All of my Christmas shopping has been finished since November 1st because I had foot surgery on November 2nd and was told I might not be back on my feet before Christmas. Nothing is wrapped yet but I saw the doctor today and got the okay to go back to normal activities based on swelling so I have lots of time to finish. Well — the Christmas cards are in the mail . . .I’ve made a good dent in the shopping – but I’m not done! Some of my favorite cookies are made up. Pretty hard to keep my hand out of them!! I have not wrapped a single gift yet! I’ll get it all done tho! It wouldn’t be Christmas without a little bit of stress! Oh and by the way, I never finish Christmas shopping and wrapping. I always want to give just a bit more and only stop when I run out of time. Don’t you just love giving gifts? As I’m typing this I think I see little bitty snowflakes floating by on the screen. Lovely. Finished my Christmas shopping all my hand made ornaments are done for the girls in the family all I have left to do is make my fudge and peanut brittle. So excited, my favorite time of year, an email every day from Lisa. Love your snowmen art work, thx, Terri. I finished gift shopping before coming to the wonderful retreat in Nov. Baking and wrapping is left to do. I still have lots to do, but I am a procrastinator, what can I say. At least I have my list together!!! I need one more good day in the city to finish my shopping. What I do have bought is mostly wrapped. My cards went out last week. I have even did a tad of baking! Unfortunately I have Christmas Insomnia! I wake up early, like an hour before normal wake up time, thinking about all the things I need to do in the next 12 days! So I get up and get moving if anything to perpetuate the act of “doing” something! I have a few more gifts to buy but I think my sewing is finished and a few things have been wrapped so making progress . Just starting Christmas shopping. We celebrate 2 December birthdays first, then get the tree up, the start shopping. And this is a good place to start for me. I’m still shopping. Every year I say I will be finished early but that doesn’t happen. Very little decorating done and no presents wrapped. But I sure love to look at your decorations and blog posts. I love these clips! Most of my shopping is done, wrapped and sent out– for once! But I still have a bit of shopping to do for some small things for friends and stockings. Happy Christmas!! I am totally ready. All bought and wrapped. Just looking forward to the baking when we meet in Flagstaff next week! Let the memories begin! Over half way with the shopping but nothing is wrapped! It will all get done, it always does! Ok I really did read all of it! I have not wrapped the first thing!!! I am still shopping! I did get a new needle threader today at my local quilt Shoppe, I just love these! And very useful! I hope maybe you have one of these on the 12 days shopping !!!! They make awesome, useful gifts!!! I still have two packages to mail, to my two sisters. Saving the best for last! I have to hopefully complete my shopping tomorrow. I haven’t even started wrapping yet! I am not shopping, just going to give money. I have bought special cards for the money! DONE YA. I don’t have many to buy for, so I procrastinate and shop very slowly! I need to pick up just a few more things, then I’ll be finished. Finished my shopping today and even took my husband along for the ride !!! Will finish the wrapping next week as my Granddaughter wants to help me !!!!!!!! I haven’t started shopping yet…..but I’ve been making bulb ornaments from the Christmas Gathering book…..They are so stinking cute! I hadn’t seen the new mini clips – a must have! Just need a few stocking stuffers. All wrapped, just need to make a few awesome bows! Your 12 days will be my fun shopping for me! BTW – I don’t think you are counting backwards! So happy you are doing the 12 days of Christmas again this year. It is always a joy to see the useful things you have for us. Most of my shopping is done and wrapped. I only have a couple more gifts to buy. Also have a couple more things to make. Every year I say I will start the Christmas projects earlier and it never seems to be early enough. I am done shopping. Now I need to wrap. Love your 12 days of Christmas! Your game your rules! I have almost all of my shopping done- just a couple of gift cards. As of today, just a couple of gift cards & some stocking stuffers left to get (and 3 pincushions to stuff & a wool appliqué to put some more stitches in.) All the wrapping is in my near future. Thanks for the Christmas fun! I’m about half done. Five kids with spouses and fourteen grands takes me a bit of time. Hubby doesn’t like to shop but I “suggest” that he get some of the guy gifts so I don’t buy the wrong tool. Will miss shopping for my parents. Both of them just recently passed within 5 weeks of each other. Finnish up and wrapping starts next week when I am off work for a few weeks. I have not done any of the shopping. My husband bought ornaments for the kids and wrapped them. I wanted to bake cookies this week but I have a sinus infection so no baking. I am just going to enjoy Christmas and buy cookies !! I love my Wonder Clips–I only have red ones though–I think I need more colors and sizes–lol! I have been doing lots of online shopping…all for me! I’ve only purchased one gift so I’ll be in panic mode soon. Let’s see. How is my Christmas prep? This is my 2nd Christmas retired and I am so far behind. I’m busier now than when I was working. 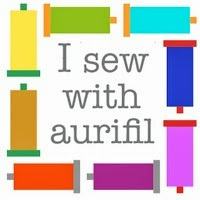 But I am spending more time in my sewing room. Love wonder clips of all sizes and I use them every day. I am done with my shopping – done most of it online. I am still working on one homemade project and when I finish in the next couple days, we will be completely finished. wrapping — not much on that! I generally buy extra large gift bags for my grandsons – triplets almost 5 – they love pulling all that “stuff” out and looking at everything and comparing colors and such – so much fun. That is pretty much the extent of my Christmas except for a few friends/family for which i generally make something. And I wanted to thank you very much for sharing the Magic of Christmas pattern with all of us. I can’t wait to get started — it will be a gift next year — there’s nothing like planning ahead. Merry Christmas to you and yours!! I love your 12 days of Christmas! It gives me a chance to see all the really cool stuff and I think your timing is right on. Not backwards at all. I don’t have any wonder clips and therefore must ask, are they very different from using clothes pins? I’ve used those and hair clips. As far as Christmas shopping- got 2 packages sent, still need to buy for husband, 2 sons and 2 daughter in laws. Oh and bake cookies for neighbor kids and…. well it goes on. Plus I can’t wait to go tobogganing on the 24th. Weeeeee! Shopping is done but nothing is wrapped yet. I will start that tonight. I have a few stocking stuffers left to get & a couple aprons to make! Everything is wrapped! All shopped and wrapped. Dec is for cooking and playing with grandkids! I am done! Woohoo! I wanted to give myself some sewing time between now and Christmas to enjoy this time of year. Done. Check! I hand make 99% of my Christmas gifts and I have yet to wrap them. I have only one more gift to buy and thats for my brother in law and have no clue what to get him. He is a hard one to buy for or make something for. As for your 12 days of Christmas; backward, forward, any way you deliver it, I always enjoy reading your posts. Hi, Lisa. I am bought and wrapped except for the weiner dog quilt I am making for an engineer friend of mine that I am still quilting. I love the clips I do have some, but can always use more. Yes my shopping is done and wrapped. I do have to grocery shop for xmas eve and day! I have 2 presents to buy and NONE are wrapped. 😳 I still need to do some baking too. Love the blog and do not get why someone thinks it’s backwards? Can’t believe Christmas is almost here. Just got the tree up and started shopping. I need to buy one more gift …and find the wrappping fairy! I am as done as I can be, cards and money are ready, cookies and candy are baked and decorating is done. Think I will set back and have a glass of wine. Thanks for your giveaway! i am still stitching some on wool projects. I have made 25 pillowcases for little kids, 2 lap quilts for Veterans, 6 Hexie table centrepieces and q queen-sized batik quilt and 4 matching pillowcases…I think I am finished! I am about half way through shopping, nothing wrapped and several Button Boats to finish! Have to get working! I’m done shopping. Except for the food and cookie making supply’s. I guess I better get going on that. Nancy P.
I have a few more things to get and haven’t done any wrapping yet. I have 2 more people to shop for. One is easy, the other is not. I still need to wrap and bake. I so behind this year. Since a gift from me means its quilted, I don’t have all of mine done. We draw names in my family so that helps a bit. I know exactly WHAT I’m doin’, just haven’t done it yet. the grandchildren come firs though and they are mostly done. Minimal wrapping in my world. I love the bags with tissue paper stuffed in the top. Call me lazy but by the time I’ve quilted and tugged and sewed all that I do, the wrapping is the last thing I worry about. Merry Christmas to you and yours and thanks so much for the fabulous BOM this year! I love my clips I use them a lot for binding and holding paper. I am not done Chrias shopping. I have all 5 of my children coming home and 3 grand children. I am very excited.. I love your 12 days of Christmas. Husband just pulled the last quilt ( present) from the long arm. Shopping done but all the wrapping left to do. Need to pump up the Christmas music and grab a glass of wine and get to it. Happy Holidays to all. I am finished with my shopping, nearly all wrapped. I do want to make large snowflakes to hang from the ceiling. It’ll look like a winter wonderland. I was gone out of town for 2 weeks, so only have 3 presents bought and nothing wrapped. I better get busy. I just finished today! But I still have a few handmade items to finish. No wrapping done yet. I am through with my Christmas shopping and wrapping all but one and I am waiting for it to be delivered. I’m having a total knee replacement Thursday. So I need to have everything finished! Merry Christmas Lisa! Only 2more people to buy for and then have to wrap. So far behind this year! I’m doing very little shopping this year. Fifteen members of my extended family are visiting over the Christmas holiday, and we’re skiing, snowshoeing, and just enjoying each other’s company! Only gifts left to buy are Sub for Santa! Merry, Merry! I am done with my shopping. I have my presents in a pile in the living room so I can wrap them while watching a movie. So far they have been sitting there for four days. I forgot I need to make some fabric balls (stuffed with polyfill and catnip, of course) for my cats and my sisters cats. I need to make four batches of cookies too. So really, I guess I’m still not finished. I love these clips! I came across them at my first quilt show earlier this year in Paducah. I also met you too Lisa. It was a great experiance. I’m almost done shopping and not one thing is wrapped. I love using the clips to hold zippers in place instead of pins when getting ready to sew a zipper. They don’t distort the fabric and zipper like a pin does. Shopping done? I wish! Presents wrapped, since not done shopping I’ll let you guess on that one. 🙂 I do have the house all decorated so there’s hope. Don’t have any wonder clips but these do look extremely useful. I think I’m done shopping. Haven’t started to wrap yet. Will mail a few things to IL & MI Thursday. It’ll all get done eventually. Ha! Not much done yet….its a difficult year….gonna get it done for the grandkids tho! I am all done shopping and all is wrapped in Michigan we are getting our third snow storm tomorrow so now I can sew. Shopping is done, still have to finish up a few things I’m making but as usual I’ll be wrapping on Christmas Eve! I think I’m dong shopping however always that last minute items that trick my eyes. I love the 12 Days of Christmas and I have to say I like the way it is counted. Merry Christmas Lisa and glad you are feeling better. I have to put the binding on each of them. Merry Christmas to Johnathan & Joey, hope they love them! Shopping is done, but much wrapping to do. In my old age I am really getting to HATE wrapping. My Christmas shopping is almost done, Thank Goodness…but WRAPPING, is another story! After moving last summer and two eye surgeries this fall – I had a hole in my retina – I’m still trying to find all the decorations! I haven’t tried Wonder Clips yet but they look very helpful. Did a big shopping binge today to finish up. Half of the presents are wrapped. Baking Christmas cookies Sunday, looks like I will get it all done. Somehow always manage to pull it off, even though a couple of weeks ago didn’t think it would happen. I still need to make a few pillowcases for my grandchildren…and buy 1 thing for my husband. Wrapping? I’ve still got time!! Much shopping yet to do but getting through it. As for wrapping, it’s going to a local group to be done as a fundraiser as soon as I get everything together. I don’t care to wrap. Love the wonder clips! 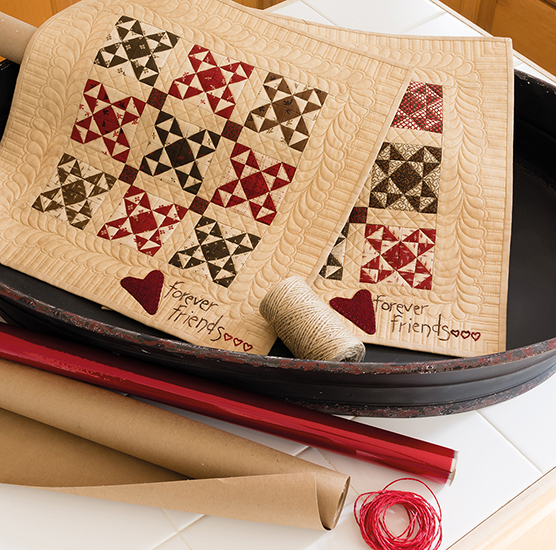 Use them for quilts as well as making purses. Shopping….. yikes. Some done. We usually send gift cards to kids and grandkids since they all live far apart. Made lots of treats to send to our son overseas in the military. Always fun! Every year I say I will NOT go to the very end with my shopping and wrapping – and this year, just like in the past, I am running around still shopping and nothing is wrapped yet! BTW, I hate to wrap – I wrapped gifts for 5 years starting when I was 16 at a local department store! Have my quilting “sisters” done & wrapped for the party tomorrow. Only 2 tree skirts & 2 stockings left to make. Olaf is hiding in the car for my granddaughter (still needs wrapped). All the rest is done-yeah! Time to enjoy baking! (loved the Magic of Christmas-not done yet-but THANKS for a beautiful quilt top to be!) Merry Christmas. I have my six grandsons done, just need one more gift for my granddaughter. Nothing wrapped. I am done with the gifts that need shipping, they are in the mail. I am 95 percent done with my local shopping. I have a few things to get and I haven’t done any wrapping yet. Always last minute with me, but I’m hoping to change that this year. Merry Christmas and thank you for the 12 Days of Christmas, I enjoy it every year. Most of the shopping is done, and only one more sewing project to finish. But none of the gifts are wrapped. Flying to celebrate with the grandkids (and their parents!) and so the wrapping has to wait until we get to their house. My husband and I spend a night together wrapping after the grandkids are tucked in bed. I just have one more small gift left to get. Will start wrapping tomorrow. Shopping done. Need to wrap and make goodies for my mom’s nursing home staff. They take such good care of her. Holy I am way behind this year. That is an understatement. Only have shopping done for my faraway kids in Kentucky (I’m in Utah). I need to make caramels tonight and get things wrapped and ready to hit the P.O. in the morning. The I have the other 4 kids and 11 grandkids, and all the rest. Oh dear. And my niece’s wedding is this weekend, bless her heart! Crazy, fun times! Love those wonder clips. Can’t wait to try the littles and bigs! I’m all done with my shopping. I haven’t wrapped anything, procrastinating will keep that from getting done until Christmas Eve. Tonight and tomorrow will be candy-making on a massive scale, then off to the post office for rush deliveries. Happy Christmas to all and the Merriest of Holiday Seasons! I’m so close to being finished! I’ve saved the hardest for last this year, because after 35 years the husband has everything, is now retired, and super hard to buy for! I have almost all my Christmas shopping done – that’s early for me. I do still have to wrap but that won’t take long. Our shopping is almost all done – just a few stocking stuffers left. My dear hubby and I had a big present wrapping day on Sunday so aside from a few things we’re awaiting delivery on everything is wrapped! Hooray! Love, love, love wonder clips. How nice that they come in multiple sizes. Shopping–done, wrapping–done, Christmas candy made, Christmas decorations–done! Just need to mail my Christmas cards. Then I will have time to work on my Magic of Christmas quilt. Shopping done? Nope! Wrapping started? Nope! I am the type of “elf” that works best under pressure! Love those Wonder clips-one of the best notions ever invented! Shopping is done and only 1 gift left to wrap…will do that one tomorrow. Looking forward to the holiday. I am not finished with my shopping. Have nothing wrapped. But there are still 12 days till Christmas, so I still have time. I am a work in progress with my shopping and wrapping. My daughter is serving overseas, so her package is on its way to Pakistan😘🙏🏼. I have about everything bought, but now to organize and wrap…..it will happen. Merry Christmas to you and your family. I know that you will enjoy having “little man” helping you get in the spirit. I only have a few things left to do, but then all of the wrapping. A few more gifts to make, thank goodness we are having a Christmas celebration in January too! Not done yet. Have 6 people to buy for. Love all of your designs.keep up the great work. Love the wonder clips too. Two tops left to quilt, and all packages to wrap! No presents to buy-just hubby and me. Hoping to get more quilting done over the holidays. Thanks for the Magic quilt. I am wanting to do it in blue and white/cream. I am almost done shopping – just a few more things. Still sewing Christmas presents. Usually finish on Christmas Eve. Thanks for the Magic of Christmas and the finishing options. Now I have to decide which one to use! Enjoy spending time with your family this Christmas. I am almost done. I need to do the measuring to make sure everyone is equal. I always get this crazy idea to make some little gifts at the end…just whip them up! Lol! I love the 12 days of Christmas. I’ve done all my gift shopping and wrapping. I do need to get two gift cards. I thought those are easy I’d save them until last. Now on to baking! I have more presents to buy. I have wrapped the presents that have been bought. Thanks so much for the 12 Days of Christmas! How much shopping and wrapping do I still have to do? Hmmm, mostly all of my shopping that is not handmade. I have 3 grown boys, with families of their own. None of them interested in handmade items, same with hubby. 3 grandkids who live in another state. I have nothing for my youngest granddaughter, who’s 4 and usually the easiest to shop for. I haven’t even gone into the garage to find all of my wrapping stuff. And you know that it is this is how it is every year, and I wouldn’t have it any other way..
Just about done shopping but have not started to wrap. A couple of things to make yet but we are forecast for snow this weekend so great time to get everything done. i’M ABOUT HALF DONE-JUST TODAY! No wrapping done. It will all happen and no one will know if I miss one or two things that I thought I SHOULD do! Enjoy the days! My shopping is done except for stocking stuffers and that is the most fun! I love finding unique and crazy things for the adults!!! They never know what they could find in their stockings!!! I am all done shopping, unless I find something I need! The wrapping still needs to be done, which is something I used to enjoy. Now I just don’t have enough time. I am about 75% done with shopping and have to wrap about 95% of my gifts. Hoping to finish this weekend! I am almost done! Hope you have a great Christmas! I am done with all my Christmas shopping and now just have the wrapping to do. However, I use gift bags for teh most part, so the “wrapping” is pretty easy! Thank you, Lisa, for doing the “12 needful things” again. Think it is time to do a little Christmas shopping for myself! I am almost done shopping but not one thing is wrapped! I’m almost done shopping and have two more projects to finish a small wall hanging and a scarf to knit. Thank you for the 12 days of Christmas. I keep thinking I have all the shopping done. i know there is still sewing to do (two journal covers and a sewing toolkit for hexies) but the store-bought stuff is all done. Some of the packages have paper (in an attempt to disguise their contents), but none of them have bows, yet. If there is time and energy ….. I have 2 gifts to buy and have nothing wrapped. Tomorrow am getting ready to have the neighbors over on Thursday night for soup, salad, sandwiches, with drinks and snacks for my husband’s 70th BD! So after that I should be able to do my wrapping. We also have a grandson BD on Christmas Eve, and a daughter-in-law BD on the 26th! The fun never ends! I am also someone who has no wonder clips. These must go on my list! My husband and I decided this year we would not give each other a present, but instead give our Christmas money to Starfish Ministries. They are doing an amazing work with the children in Haiti. We have sponsored a child for 15 years for just $25 a month. That money goes a long ways in Haiti for their food, clothing, education and more. So by adding more money to our monthly gift a family in Haiti can get a goat, chickens, a Bible or a meal at Christmas. I discovered WonderClips a few years ago by accident and they are truly WONDERful. I have most of Christmas at least planned, but there are two baby-doll quilts that still need quilting and binding…soon…because they have to go in the mail. I have most of my gifts wrapped and only need some stocking staffers to buy. Highly unlike me. Wondering if I am forgetting something but enjoying being ahead for a change. We had our major gift exchange over thanksgiving weekend when our family was all together. I still have a few more gifts to buy and a pillowcase to sew! I am finished with my shopping except for stocking stuffers. Still have a bit to wrap but hope to finish it tomorrow. Just about everything is bought but not wrapped. Couldn’t find the garland, so went and bought some more, came home and found the box with the garland! Still need to grocery shop. Will have 25 on Saturday and have to have lots of food. Dusting may just have to wait. Haha. I have barely shopped and haven’t wrapped. I guess I better get going!! All done shopping, but not done making!! Yikes! I have 2 more gifts, my daddy and my husband ( which are the hardest ones on my list, since they already have everything). Love using these clips but I don’t have the tiny ones. It’s time to start the baking, which I love! I’m about 80% done shopping and haven’t wrapped a thing. Still making stockings and have several other gifts to make as well. Heck, there’s still a week and a half! So much shopping yet to do and nothing wrapped. Ugh! I will have one busy weekend coming up to get it all done. My husband gets his own presents so I am off the hook. I bought a PG kit for him to give me so we are good to go. I should probably wrap them…. we’ll see what happens. I love wonderclips and don’t think you can have too many. I haven’t tried the mini ones yet. Happy Christmas to you and your fab staff! Finishing the last of the Christmas cards tomorrow. Still have shopping to do, maybe I can get that done tomorrow too. I am 95% done with my Christmas shopping. Just did a lot of it in Mexico City while visiting my brother this weekend. I always try sooooooo hard to be organized and ready but somehow there’s always a bump! This week I had to have the furnace replaced and the spring on the garage door broke. I’d be upset but they were both 30-40 years old so I think I got my money’s worth! After all the service people are gone, will I sew, wrap or decorate? Hopefully I can choose tomorrow. Merry Christmas to all! I have not started yet. Busy planning our Guild’s Christmas Party which is Wed. evening. More quilting parties to come later in the week. Will shop and wrap next week. Thanks for the Twelve Days. Thanks to online shopping I am done with that phase and onto wrapping and shipping. Keeping decorations simple! I’m almost done…looking forward to doing some baking and light gazing …. I hope you’re getting some TLC and feeling stronger each day. No, I’m not done. I decided to make a couple last minute quilts (where was my brain) plus I’m flying to NY so the quilting must be done before I leave. Lisa, I love you dearly but you need to know that some of us just are no where near your level of expertise. I could not bind a quilt without the clever binding tool that helps me end the binding in a neat and tidy way. I get confused every time about where to put the two tails. Love these clips. Haven’t seen the mini ones. I have almost all the shopping done but nothing is wrapped. As soon as the vegetable garden is done for the year, I do a thorough fall cleaning in order to get our home visitor ready. That doesn’t include my sewing room which has to wait for January 1st to see me again. I’m sure many can relate to that. When you need a place for something, put it in the sewing room. I do manage to get some hand sewing done in the evening. Happy to hear you continue to feel better every day. Thank you for all the beautiful things you create for us. I still have a little bit of shopping left to do, nothing is wrapped yet. I bring everything down and wrap on my long arm table, so it’s not too bad. My son helped me put up crochet snowflakes yesterday. I love them and we have them hanging from the ceiling where we can reach and from the ceiling fans in the taller areas. It looks so nice. I’m almost done! Now for the wrapping. I’m done with my shopping. I’m still sewing presents though. I haven’t started wrapping yet. We had Christmas over thanksgiving weekend with our son & his family, they aren’t able to make it home. So Christmas will be both our daughters and their families. This is the first year we haven’t all been together. Thanks for the giveaway!!! I love my wonder clips!!! Just barely started shopping. Crazy run up to Christmas. Time becomes mine tomorrow-that’s when I start! Shopping is done but all the other stuff needs to be pulled together. I some of those clips but not the cute container they come in now…..maybe Santa is listening. Maybe halfway done and no wrapping done! Thanks for the giveaway. Snapping almost done, house decorated, still need to do cards and wrapping. I love those clips and can always use more. I’m almost done the shopping and wrapping. Feels so good when the weather and malls are crazy. Heck no, not done shopping. There is a lot of pressure being a Grama. Just finished moving. Get in Christmas gear Grama. Just 2 more to buy and then the wrapping starts! 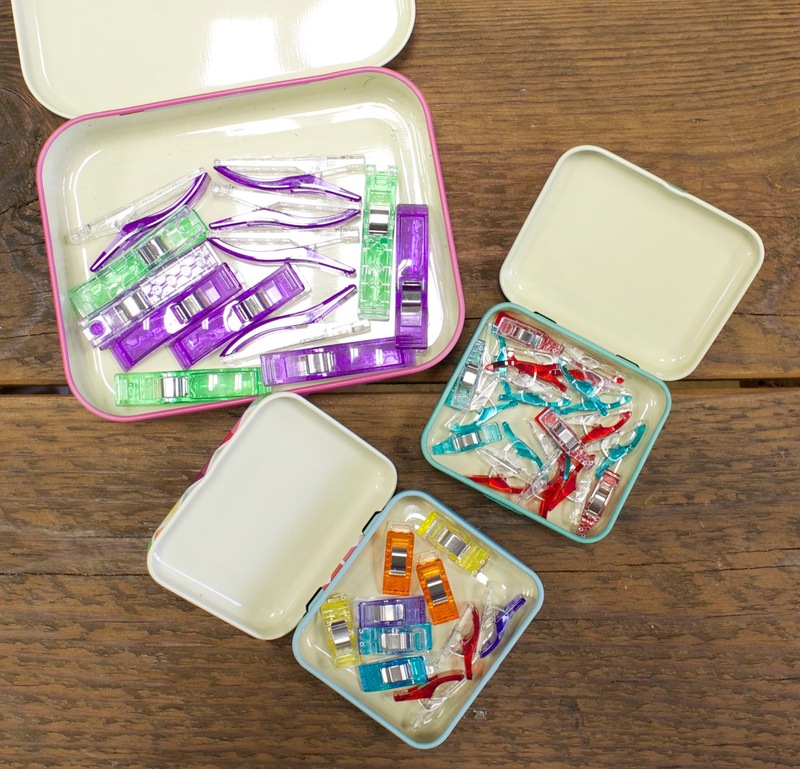 I love my wonder clips…and there is always a need for more! I am almost done with my shopping. My daughter has decided that she would wait until today to give me her list for her family. I am still sewing at a steady pace with plans to be done by this Friday. Thank goodness it is all quick projects. Im down to just two more smaller projects left on my sewing list. Gifts are wrapped and one more item to purchase at the store. Im not feeling quite as stressed. I haven’t finished shopping yet. My husband and I were supposed to be visiting family i Germany and I had planned on doing my shopping at the ChrisKringle markets but a few days before the trip my husband became ill and we had to cancel the trip. He is doing better now and I am now free to shop, bake, decorate, and wrap! Finished with shopping except for some waistband elastic. SOOO not finished with my sewing! I’m 3/4 of the way done. We celebrate Hanukah and Christmas, so it’s a double whammy this year! Nothing is wrapped. What we do each year in our family is pick a wrapping theme – 2 years ago it was shiny gold and silver paper, last year craft paper, this year, reindeer paper! I plan to do all that this Sunday, after I bake 14 mini cranberry/orange breads for office gifts. I’m also hand quilting the embroidered Christmas small quilt , a pattern that I bought from PG last year. It’s that really cute old-fashioned one, with the Merry Christmas in the middle. It was sampled in black, but I did all red work. And, I started the Bonnie Hunter mystery quilt with some guild members, so I have a lot of cutting to do. Most of my shopping is done!!! Yea! However, nothing has been wrapped. Please send the gift wrap fairy to my house. I am hoping to finish it up today and start wrapping tomorrow! I love the idea of the mini clips. The regular ones were too big for tiny single binding. I will have to give these a try. Thanks so much for doing this. I look forward everyday to see what the notion is. Almost done shopping- just need a couple stocking stuffers and I am good to go! I have all my shopping done. All the presents are wrapped. All the cookies are baked. Just need to frost my cut out cookies. Doing great this year!! Merry Christmas Lisa and family!!! One gift left to buy but only the gifts to mail are wrapped. You would think I’d already have them mailed, right? Nope! I still have to do ALL of my shopping. Worst year ever. It’s going to be a busy week. Will finish up shopping this weekend. So glad that you are recovering well. I have 2 more gifts to get…all others are wrapped and under the tree! Love the clips–I see many uses for the mini and jumbo ones. Just waiting for the USPS and UPS to deliver the rest of my shopping and then getting it wrapped and I am done with that at least. Could really use those clips to keep me together and love the little tins they are in. Have a wonderful Christmas and thanks again Lisa for doing this. I’m so excited to read these posts of your needful items. You have the best tips! Hi Lisa! Wonder clips are great! I didn’t know they have the small ones. I am midway through Christmas shopping but when I get things in the mail or after I shop, I bring the gifts home and wrap them and put them under the tree so I don’t have the huge task of wrapping them all at the end! Merry Christmas! I am heading out today to hopefully finish up buying gift cards and some needed items to finish up gifts. I sorted out the items I have been collecting for my eight grandchildren and have a few gaps to fill . I tend to shop all year and am about halfway through with wrapping. I don’t wrap for the grandchildren. Our tradition is that I make a pillowcase tailored to their current interest and then fill it with their gifts as a Santa sack. Still have to work on baking and the Christmas Day menu. Those mini clips just might be the next best thing, maybe I can win some so I can give them a try on my tiny pieces. I sat not anywhere near ready for christmas, only one gift bought, and it is still in the bag from the store. I guess I had better get it wrapped and in the mail…. Shopping is almost complete, a few stocking stuffers. Wrapping is also done. Son and family arrive on saturday. It will be fun to have my granddaughters in the house…. Enjoy little man this holiday season. Everything is bought and wrapped. Awaiting the time to load the sleigh, (a.k.a. car) and go to mother’s house. The only thing left to do is bake a couple of pecan pies which I will do on the 23rd. Would love to win any of the clips. Clips are one of those items that you never have too many of. I am mostly finished. I have some gift cards to buy. My children are grown and neither one of them sew, quilt or do crafts. My granddaughter doesn’t do those things either. I only exchange gifts with one friend & I have gotten quilting gifts for her. Still have to wrap those things that I have bought. So glad to hear that you are doing well. I am finished with shopping with just a couple of gifts to wrap. At this time of year, we like to make holiday cookies for the Dorothy Day House and local Transplant House. I am finished with my shopping just waiting for a few items to arrive in the mail. The three people I have to ship to were wrapped and shipped yesterday. Two to Vermont one to New Mexico. None of my decorating is done. No other gifts are wrapped.. oh my. Need to get a new tree….hoping to have it ALL done in the next several days. Merriest of Christmas to you and yours! 95% done with shopping but nothing is wrapped. Glad you are feeling better. Love these clips, I only have one size. Thanks for a chance to win! I have about 75% of my shopping to do yet. Along with Christmas cards, baking and decorating and wrapping. I’m really behind this year! I don’t have any shopping done!! I am hoping some elves will come in and do everything! I love Christmas and I have made several Christmas quilts that I might just get out and be done!! Thanks for your inspiration!! I am almost done with my shopping thanks to help from my daughter. Her help enables me to stitch on the snowman ornaments for her kids! I still have some shopping for grand babies to do. I am ready for Christmas as well. Just waiting a little to make some Christmas candy. I have not yet started my shopping and now i am unable to due to poor health. luckily i finished my blocks for MOC. My Christmas will be without any baking or cooking again this year. Fortunately we decorated when i was doing well. I love shopping for presents but life happens. Thanks for the opportunity and a beautiful pattern for a good memory. I enjoyed this MAGIC OF CHRISTMAS. Merry Christmas to you all and a Happy New Year. I have one thing to pick up, and I still need to wrap(: But have that scheduled for Friday – before the big storm. In the meantime, getting my list ready for Christmas Dinner – hopefully do that shopping on Tuesday, after roads are cleared. Love a white Christmas. I have started shopping and do not have. Very much left to do. I am almost done shopping, & am working on wrapping, in fact I just took a break from wrapping to check my e-mail on the computer! Also done, but you know of course I can not resist getting extra for the grandbabies. That’s what grandma’s are for. Thanks for the chance to win. I still have some work to do for presents! But I really like wonder clips. And I have a baby due on Jan 2, so things are a little crazy at my house. Just a bit behind. Been making candy for two weeks tonight I have to package up priority mail for Chicago after that I can start the rest of Christmas. Been making candy for about 30 years now. Started with family then added friends and then my husbands office, horse group, I am bagging up 50 bags of candy. English Toffee, Peanut Brittle, Fudge, Peanut Butter fudge, Divinity and Rocky Road I know I am forgetting one. LOL. Its a lot of fun. So any kind of stitching is on hold till day after Christmas. I can still shop on line. I’m not real organized this Christmas. I’ve been working on my B.S. degree online for the past 3 years and took my final test of the semester and have completed my last and final class…..Yippee!! Now I can focus on finishing up my shopping, and wrap all my gifts (I love wrapping). The clips are a great way to keep all my UFO’s that have been waiting for me to graduate together in an organized fashion! I started my shopping today! I should be finished in ic the next couple of days and then will start wrapping. The shopping is completed and now I must wrap the gifts. 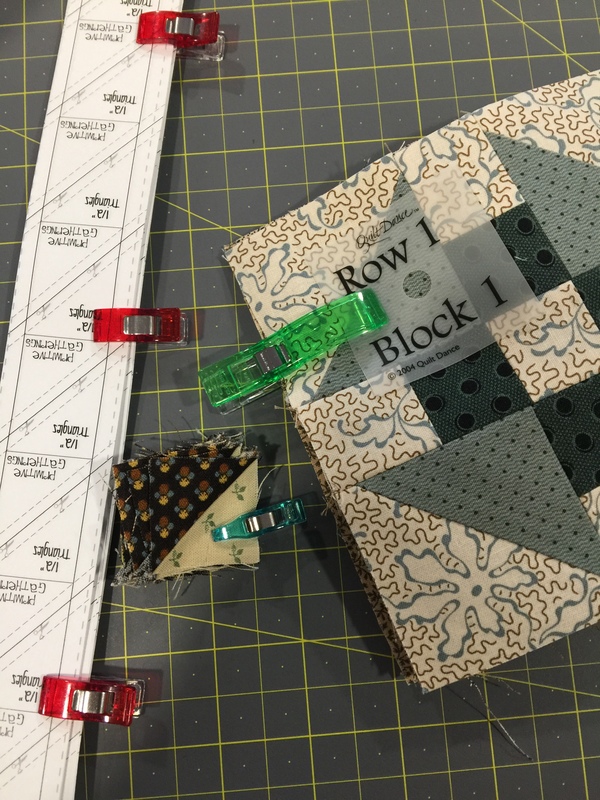 Love the small clips for holding fabric to hexagon papers for piecing. Have been working on 1/2″ hexagons for over a year. Easier to clip the pieces together ready for basting and keeping sections clipped together. Most of the shopping is done. Not even a start on the wrapping. Tree has lights but no ornaments yet. Definitely a way to go! I have the regular size wonder clips and just love them. Have been thinking about getting both the jumbo and the mini. The jumbo’s look like they would be nice to clip blocks for rows together to keep in order, and I’m sure I can find other uses for them also. The mini’s would be nice for working on miniature projects. No shopping to do as kids/grandkids are grown so we just do $$. Finishing baking today and writing cards and then I’m ready. We don’t really exchange gifts anymore. There are no little kids and some of us are not in good shape. Love those clips! Almost done shopping… just a few last things to pick up. No wrapping done at all! Looks like this snowy weekend in Wisconsin will be a good time to to that! Shopping and wrapping done and waiting for Christmas to arrive. Today we have bitter cold and snow, so it definitely is looking a lot like Christmas here in Maine. Merry Christmas!!!! Everything is finished except decorating brown bags for the grandkids’ crocheted Frisbees that I made for them this year. Prepared for Christmas. Not hardly. But my tree is up. And I love it. Nevada style, a fresh pinion. Gonna get more done today. Check Out My Moda Fabric Lines! Click to get all the blocks!!! Our newest book! 20 projects! A new little book filled with info on Wool Appliqué and finally a method to keep track of your Valdani Threads! NEW BOOK! Click to see our project! 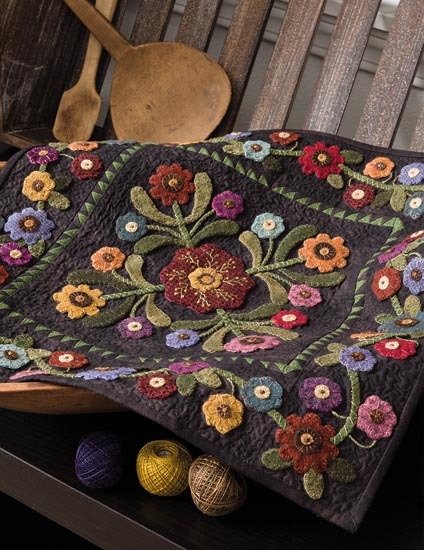 Click to see our quilt in this great new book! Click to see our quilt in book! 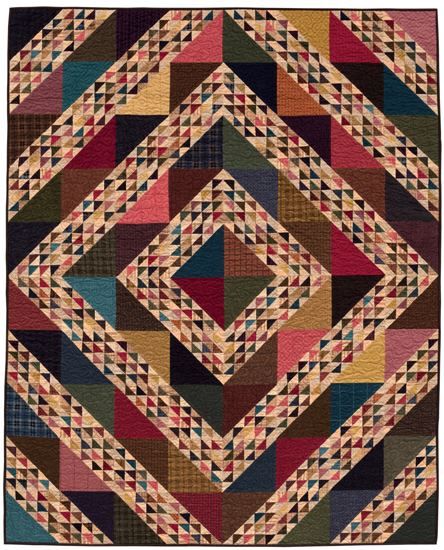 PRIMITIVE GATHERINGS QUILT SHOP—SHOP HERE! Moda Block Heads 2...Block 38-Anchor Point, Block 10 & 35 also!